Gary Popoff took the phone call from the Santa Rita Jail. It was his spiritual mentor, Yusuf Bey IV. Now, Bey IV, the former leader of Your Black Muslim Bakery, and Popoff, an ex-con and Bey IV’s former bodyguard, are under investigation, accused of plotting to kill witnesses in Bey IV’s upcoming triple murder trial. 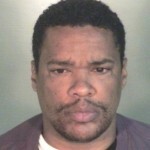 A grand jury indicted Bey IV in April 2009 for ordering the slayings of journalist Chauncey Bailey and two other men in the summer of 2007. The trial of Bey IV and co-defendant Antoine Mackey is scheduled to begin in August, but could be delayed. The next hearing is set for May 17. Bey IV, 24, told Popoff that Allah could communicate only through him. Besides being a once high-profile Oakland business, the bakery had served as a black empowerment organization that for decades attracted young men with troubled backgrounds, such as Popoff. Three months after that conversation, Popoff was back in prison on a parole violation. He was released in January and renewed his association with Bey IV. Popoff has now been jailed after a hearing officer with the state Department of Corrections and Rehabilitation ruled last week that Popoff’s role in the assassination planning — which investigators with the Alameda County District Attorney’s Office quickly foiled in March — was a violation of his parole. Popoff has yet to be charged in the case. An investigation is ongoing. Also under investigation is Bey IV’s former lawyer, Lorna Patton Brown, who withdrew from the murder case two weeks ago. According to a corrections department summary of Popoff’s hearing, Bey IV wrote notes in the margins of legal papers that Brown took from jail and passed on to a member of the Bey family, who gave them to Popoff. 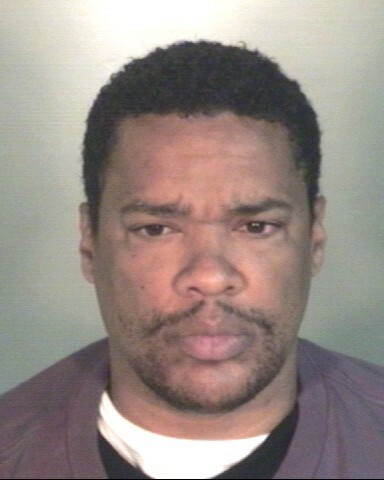 At the time of the January 2009 phone calls with Popoff, Bey IV was jailed in a kidnapping and torture case unrelated to the murder charges. But at that time, he and Popoff discussed one of the witnesses that Bey IV is believed to have ordered killed. “Why would (the witness) lie?” Popoff said, referring to a statement the person gave to police that was the subject of news stories. Bey IV replied that the witness had a personal grudge against him. Other legal documents describe Popoff as a longtime member of the bakery, working there in between prison terms. In conversations with Bey IV, he referred to bakery founder Yusuf Bey as “Pops” numerous times and bragged that he had gotten the letters YBMB — for Your Black Muslim Bakery — tattooed on his arm. Popoff repeatedly showed deference to Bey IV as his spiritual leader despite being nearly two decades older, calling him ‘sir,’ and at one point expressing love for him. Popoff repeatedly said that Bey IV was the only person in his life who had helped him, and his loyalty was unwavering. Bey IV often steered their conversations back to what Popoff could do for him. Gary seems like a real genius. Someone should obviously check into this person’s mental health history. I have the suspicion that the principals at YBMB attracted, recruited, and manipulated persons with unstable psyches into being their foot soldiers. Neither Broussard nor Popoff appear to be fully in control of their faculties. The alleges dialogue between Bey IV and Gary smacks of psychologically parasitic relationship. I read that Bey IV’s trial starts on May 17. He will finally be tried (and convicted) for the murders of Bailey, Wills, and Odell. This piece of trash has gotten away with these senseless, cold blooded murders for far too long and I can’t wait for the guilty verdicts to come in. There is no point in giving him the death penalty since the death penalty in California is nothing but a joke, but life without parole would be great. He should definately have no parole, otherwise he will be entitled to conjugal visits.